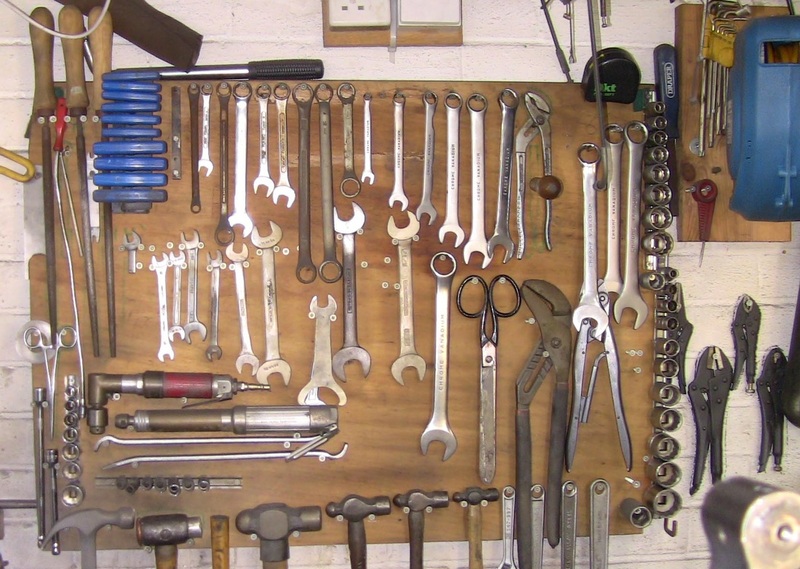 People ask me about the tools I have and use. I have not went out of my way for any specific items or item. This collection has been built up over the years from all sort of sources. 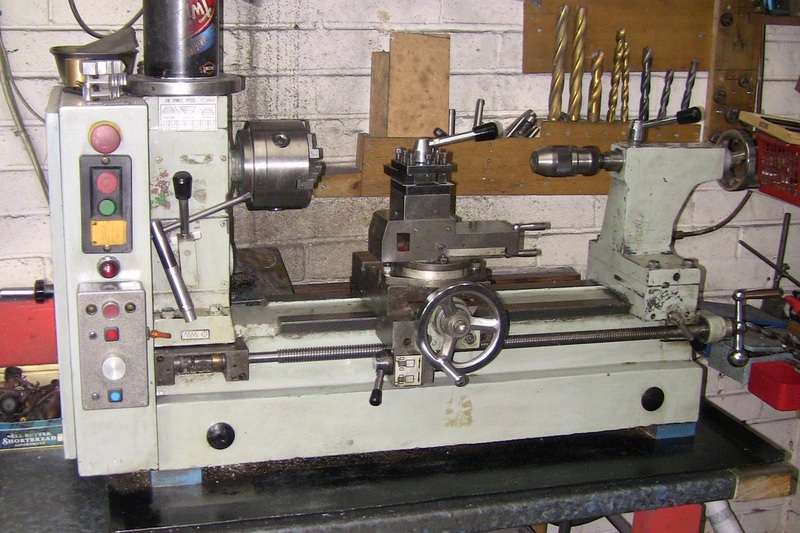 The lathes and the miller/drill once belonged to old model engineers who have left us probably for a better place ! Spanners, hammers etc were browsing car boot sales and motorcycle shows. 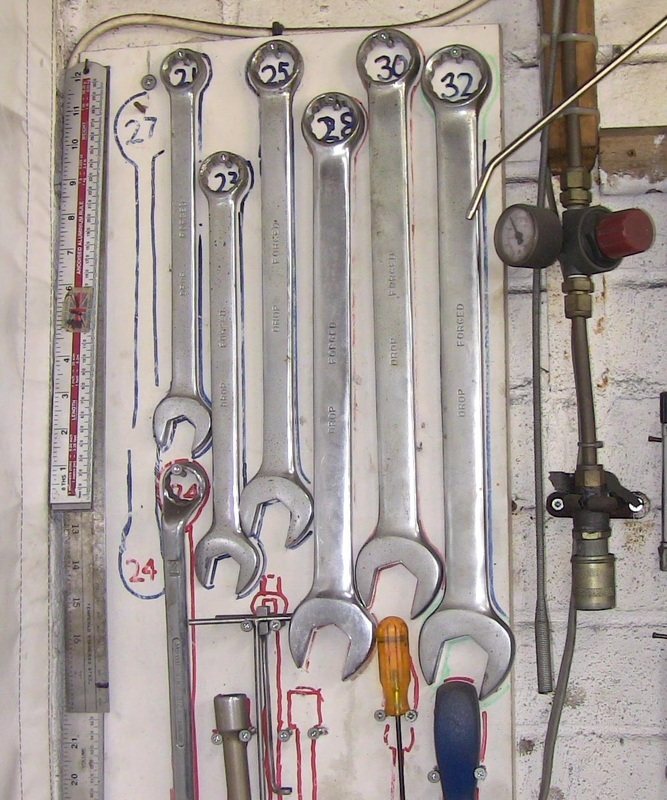 First picture below shows a cheap set of very large ring spanners ( rarely used ). Picture below is my wooden board with all imperial tools. Hammers and mallets at the bottom. 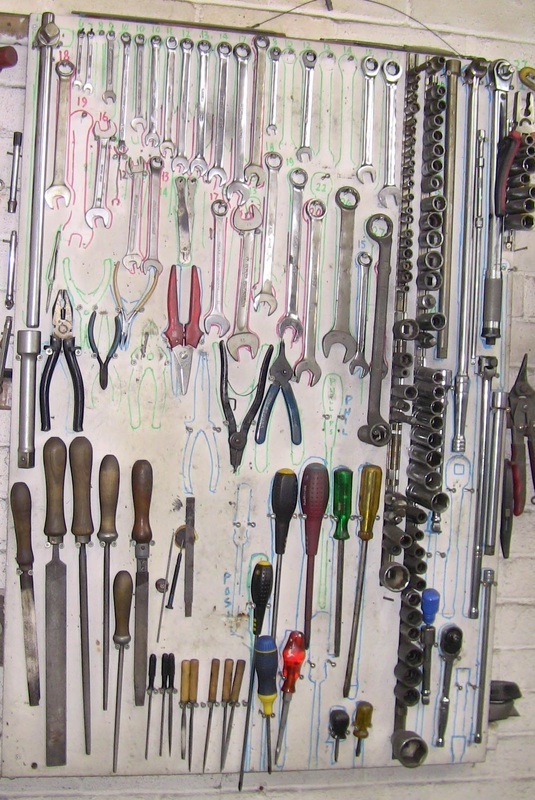 Metric tool collection shown below. Files and screwdrivers at bottom. 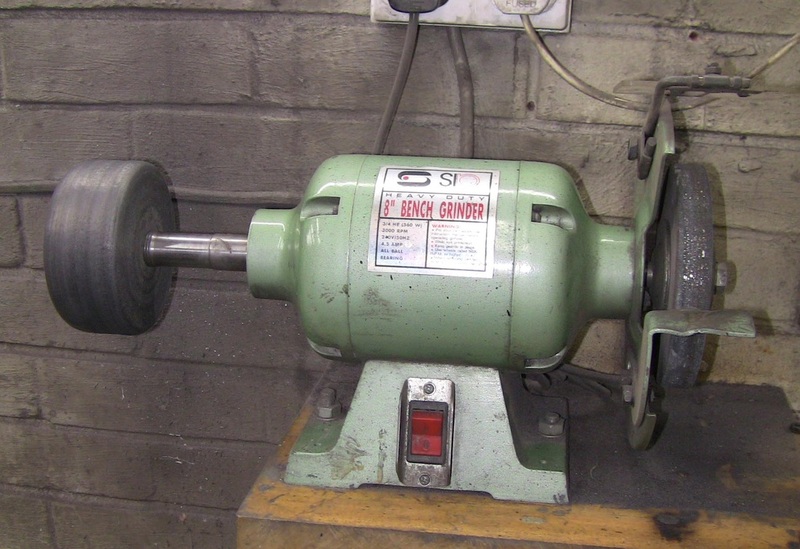 Three quarter horse bench grinder and buffer. 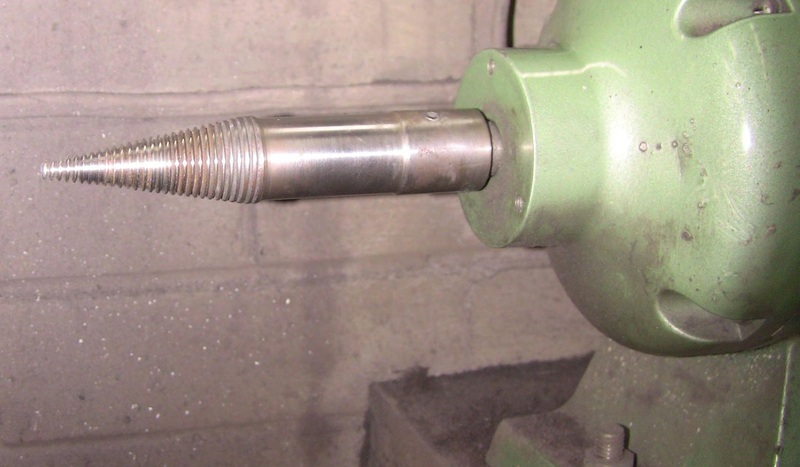 Tapered arbor for various polishing wheels shown below. 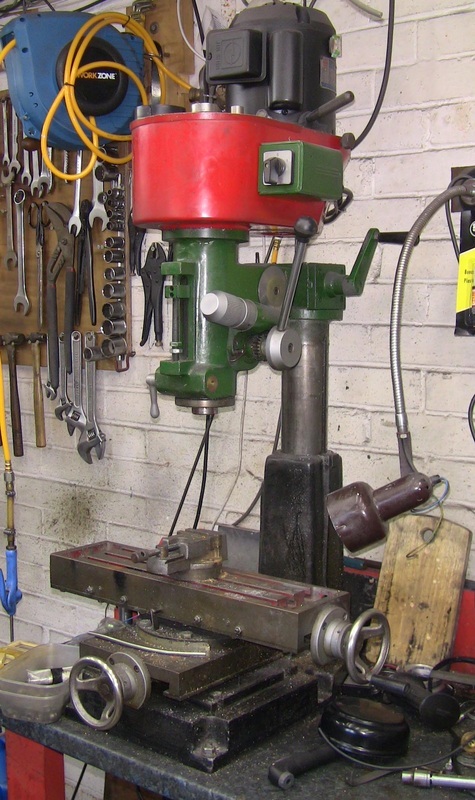 Miller / Pillar drill below. 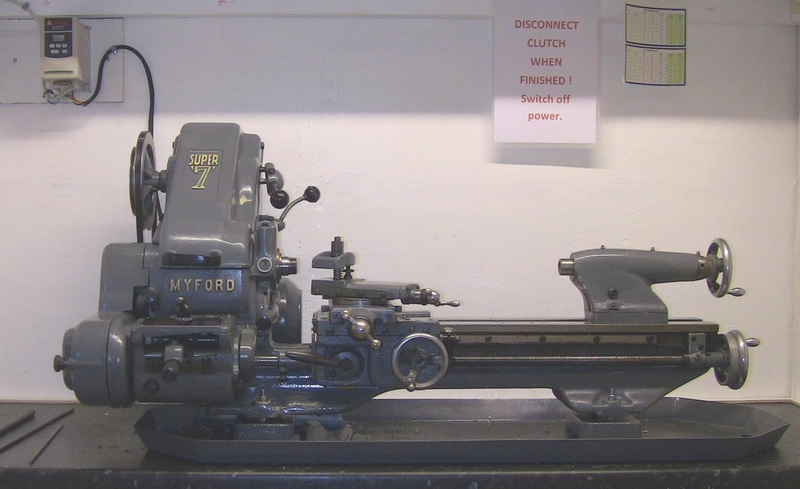 Small Myford lathe, with three phase motor and speed control shown below. Chinese lathe, these are very good. This one is a Chester model B. With three phase motor and speed control. 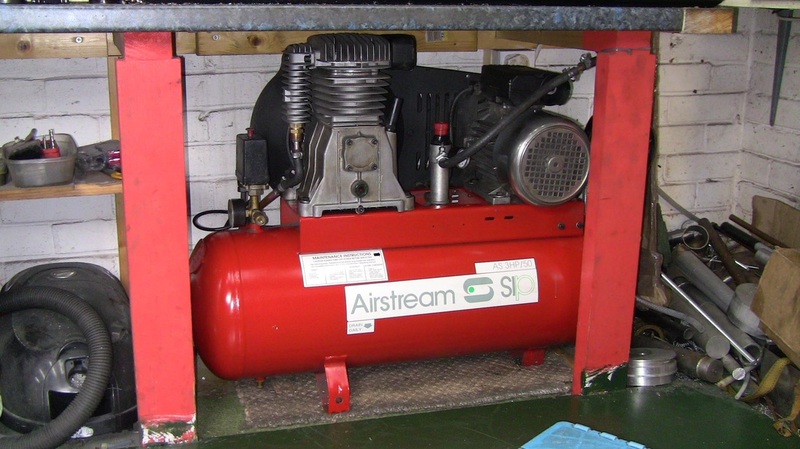 Twin cylinder, three horsepower single phase compressor.